Hollywood is apparently going through one of its periodic “cop comedy” phases, with the Jump Street movies and Let’s Be Cops making a lot of money for their respective studios. Sensing there’s more to be mined from this comedic celebration of America’s least controversially beloved public figures, MGM has picked up another new cop comedy, titled Cop Swap, from Hot Tub Time Machine director Steve Pink. In a premise that could have been pulled intact from the ’80s by an intrepid jacuzzi chrononaut, the film follows a group of police officers sent from various foreign cities to serve in the LAPD under the guidance of an “American misfit cop assigned to babysit them.” Inevitably, the various foreign misfits will put aside their differences, outgrow lazy (but hilarious!) national stereotypes, and stumble onto a major crime that can only be solved with the power of friendship or international cooperation or something. If you read that brief summary and immediately started pawing at your computer screen in an ineffective attempt to bid on it, you’ve suffered the same reaction much of Hollywood had when Pink brought it from studio to studio. 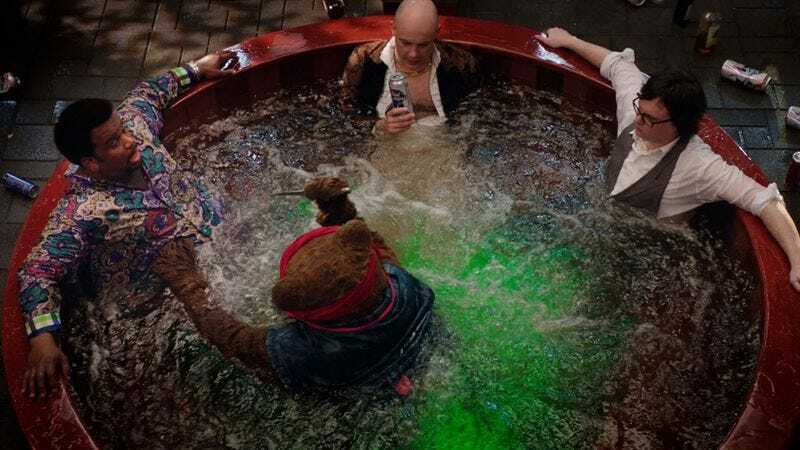 But ultimately was MGM, which has worked with Pink in the past and will be releasing Hot Tub Time Machine 2 next February, that snagged the coveted new film. Details are still fuzzy about which cities these swapped cops will come from, but if Pink and co-writer Jeff Morris pick one where all of the citizens talk in funny sound effects like honking horns and Space Invaders noises, past history pretty much guarantees they’ll have a massive new franchise on their hands.